The following people are recipients of a $10 promotional gift certificate at the indicated participating retailer. If you did NOT receive a certificate by email and you DO find your name here, please use the link and inquire at the shop next to your name for details. 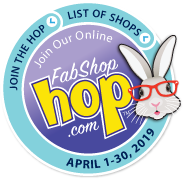 The promotional gift certificates expire April 25, 2018. Reminder: Regular shipping & handling charges plus any applicable sales taxes apply. These are not covered by the gift certificate. 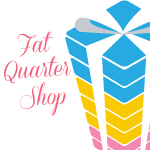 The gift certificate is non-transferable and has no cash value. Promotional Gift Certificate winners are listed by country and then in ascending order by state abbreviation, and then city. 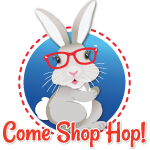 Thank you for hopping and shopping with us! 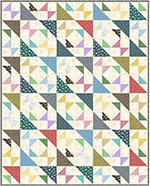 Lois Auld	-	Jasper	-	Happiness Is ... Quilting! Cheryl Murolo	-	Prescott Valley	-	Happiness Is ... Quilting! Therese Carlson	-	Barstow	-	Thousands of Bolts... Only One Nut! Shelly Leihy	-	Northglenn	-	Happiness Is ... Quilting! Donna Laborde	-	Hobart	-	Thousands of Bolts... Only One Nut! Karen Morton	-	Kingston	-	Thousands of Bolts... Only One Nut! 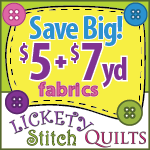 Content Peckham	-	Elkton	-	Happiness Is ... Quilting! Betty Leake	-	Brighton	-	Happiness Is ... Quilting! Li Ga	-	Blackduck	-	Thousands of Bolts... Only One Nut! Vivian Devore	-	Salisbury	-	Thousands of Bolts... Only One Nut! Kathy Verkade	-	Asbury	-	Thousands of Bolts... Only One Nut! Cheryl Barton	-	Dallas	-	Happiness Is ... Quilting! 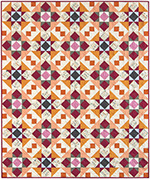 Joni Sanderson	-	Eugene	-	Happiness Is ... Quilting! 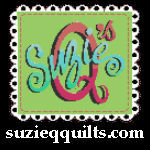 Cindy Wagner	-	Reading	-	Happiness Is ... Quilting! Cheryl R. Campbell	-	Memphis	-	Thousands of Bolts... Only One Nut! Nancy Keene	-	Gordon	-	Thousands of Bolts... Only One Nut! 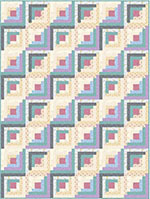 Ginny Crosthwait	-	Houston	-	Happiness Is ... Quilting! Suzanne Cooper	-	Round Rock	-	Thousands of Bolts... Only One Nut! Michelle Dearborn	-	Aberdeen	-	Thousands of Bolts... Only One Nut! Lynda Cotter	-	Manson	-	Happiness Is ... Quilting!